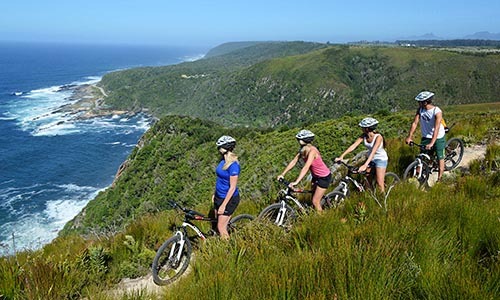 The Tsitsikamma and surrounding areas of the Garden Route have a balance of adventure activities, culture, scenic beauty, wildlife, arts and crafts, winding mountain passes, dramatic gorges, black rivers, majestic mountains and fynbos, private game reserves and animal sanctuaries. – the perfect fusion of Nature and Adventure. 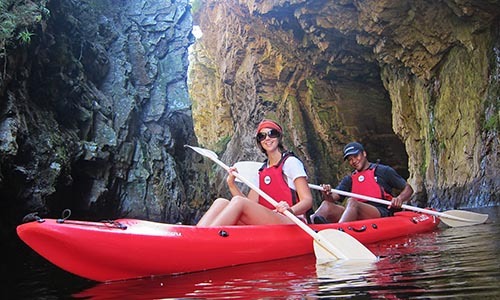 SEEKING SOME TIME OUT IN THE TSITSIKAMMA? Ideally situated in the quaint and peaceful village of Stormsriver – in the Heart of the Tsitsikamma National Park area. 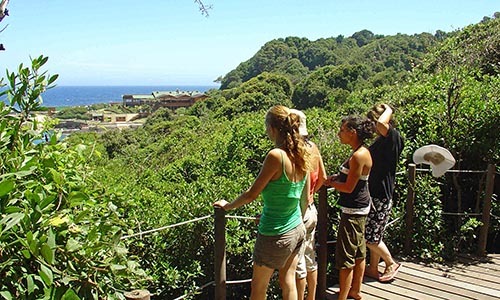 The awesome beauty of the Tsitsikamma National Park – start of the world famous Otter Trail, the challenge of the Tsitsikamma Trail and many shorter indigenous forest and coastal walks and nature trails surround the Retreat. The Waterfall Walk, The 800 year old Big Tree, historical Stormsriver Pass and ancient Tree Ferns of the Coesa Trail provide hours of exploration on foot in these magical surroundings. 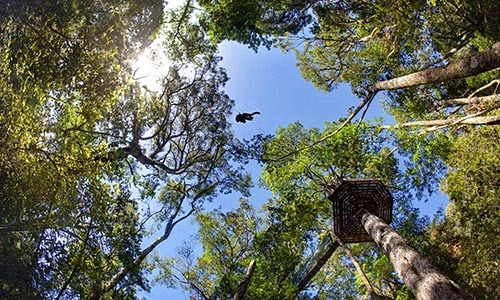 Stormsriver Village is the home of the world famous Tsitsikamma Tree Top Canopy Tours and the Woodcutters Journey; 2 of the amazing Forest experiences offered by Stormsriver Adventures. The world renowned ‘Tsitsikamma Canopy Tour’ attracts thousands of local and international tourists to Storms River every year. As an accredited ‘Fair Trade’ Company, Stormsriver Adventures ensures that the benefits of Eco Adventure Tourism, is translated into meaningful Community Upliftment. 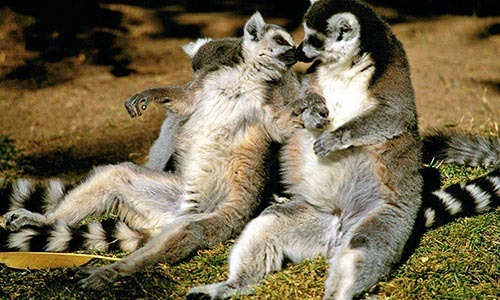 These are some of the host of attractions of the Tsitsikamma and nearby Crags which our guests can explore and enjoy. When your feet get tired – let 2 wheels guide you further afield as you follow mountain bike trails or take a guided Off Road Segway Tour - winding through local pine forest, township and Stormsriver Village. 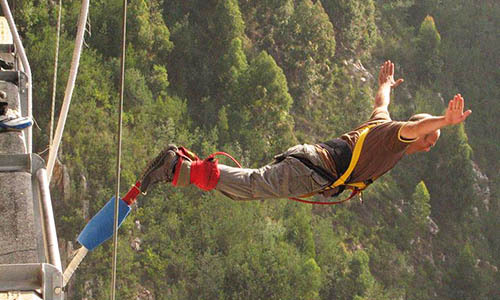 A stone’s throw from the Village - the world’s highest Bungi Jump at Bloukrans and Zipline Waterfall Tours get the adrenaline flowing. GORGEous. Blackwater Tubing down the Stormsriver Gorge and Kayak and Lilo experiences at the Storms River Mouth provide some of the water based action in the area – and for the more sedate at heart, take a gentle boat ride up the Storms River Gorge or chill and swim/snorkel on the safe bathing beach down at Storms River Mouth. Self Catering Accommodation in Stormsriver, Tsitsikamma, South Africa.